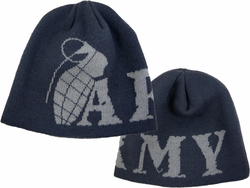 This Army Grenade Charcoal Grey Watch Cap is made from the highest quality materials available. They are provided by the manufacturer that supplies the armed forces. Quality is always guaranteed.